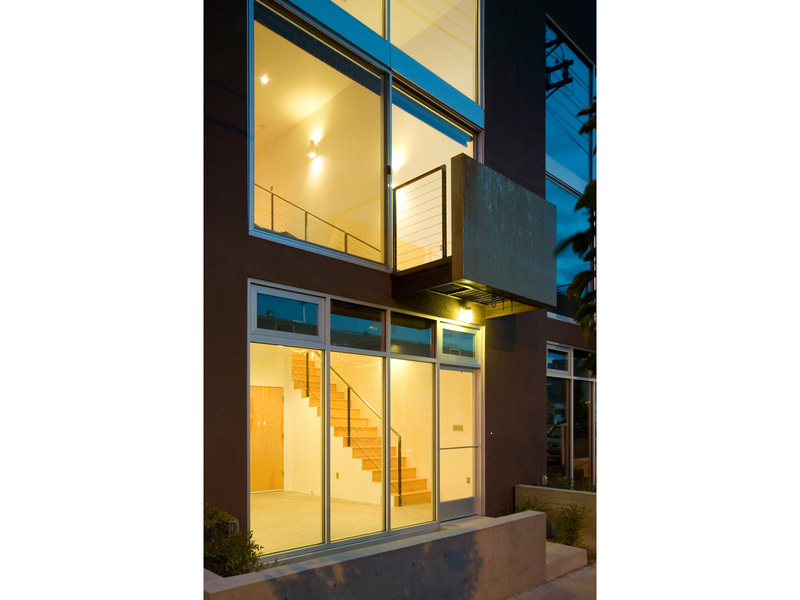 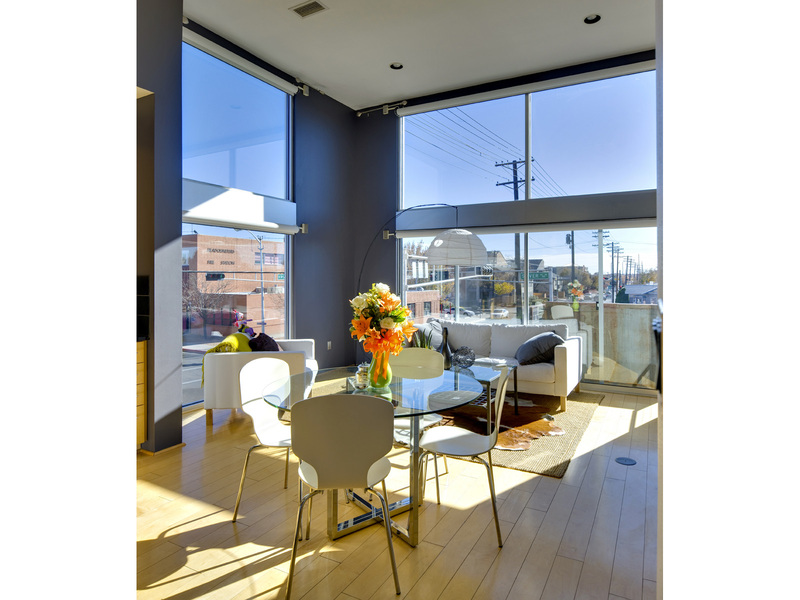 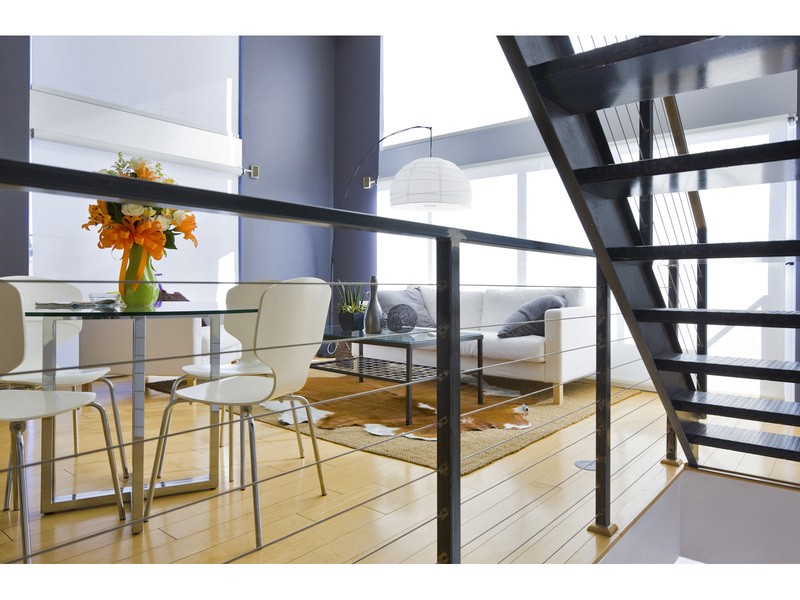 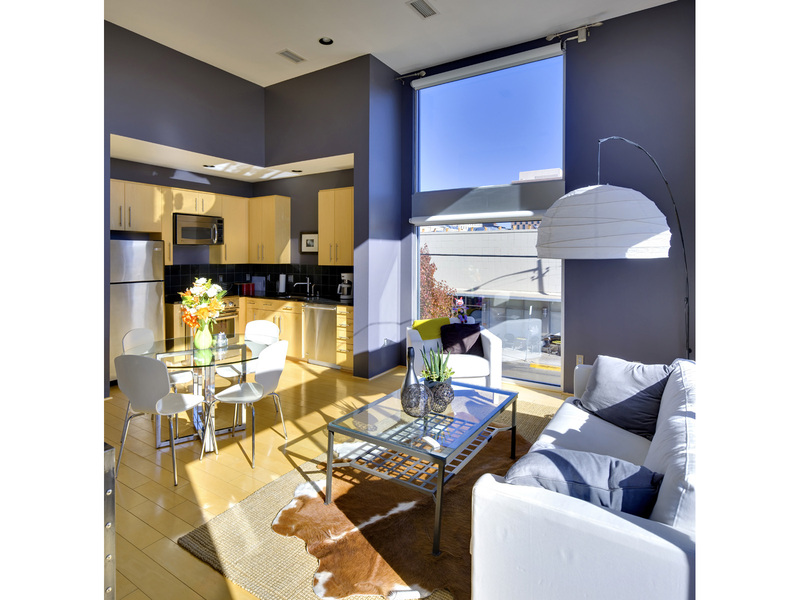 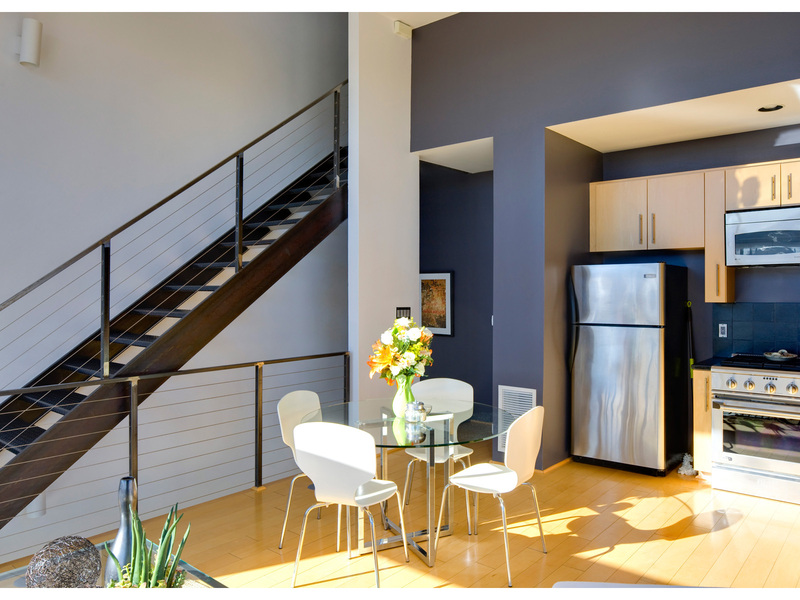 Silver Lofts units range in size from 900 to 1600 square feet, and are configured around auto mews with garages accessed off the alley. 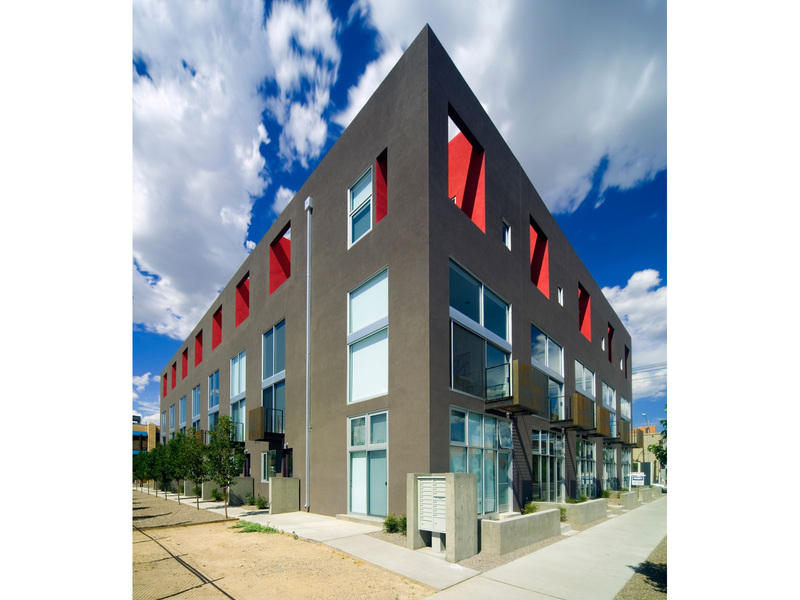 Ground level owner-occupied work and retail spaces front onto Silver Avenue and 8th Street. 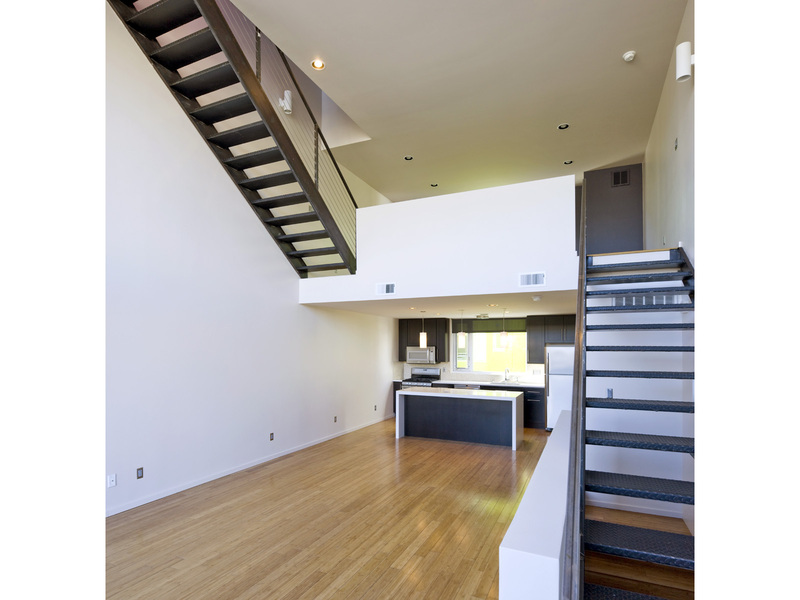 A 17-foot high main space contains an efficient line kitchen and living areas with a loft space. 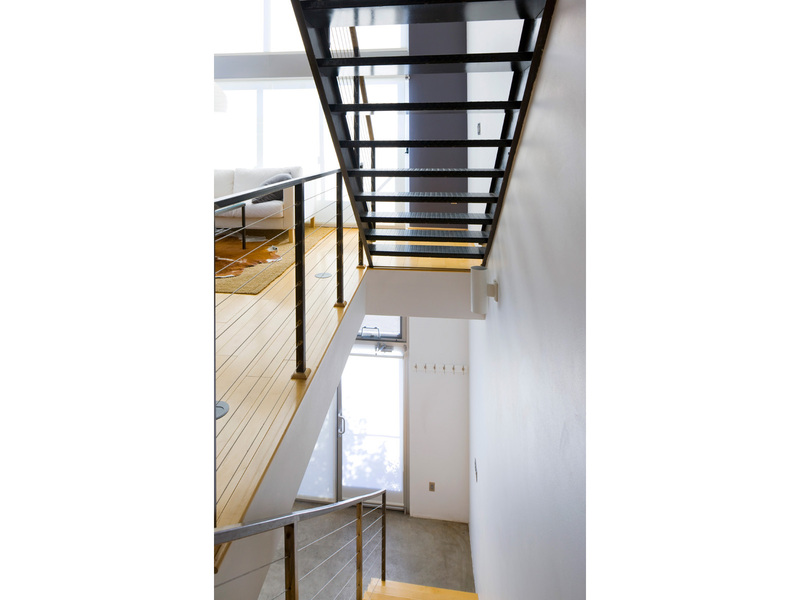 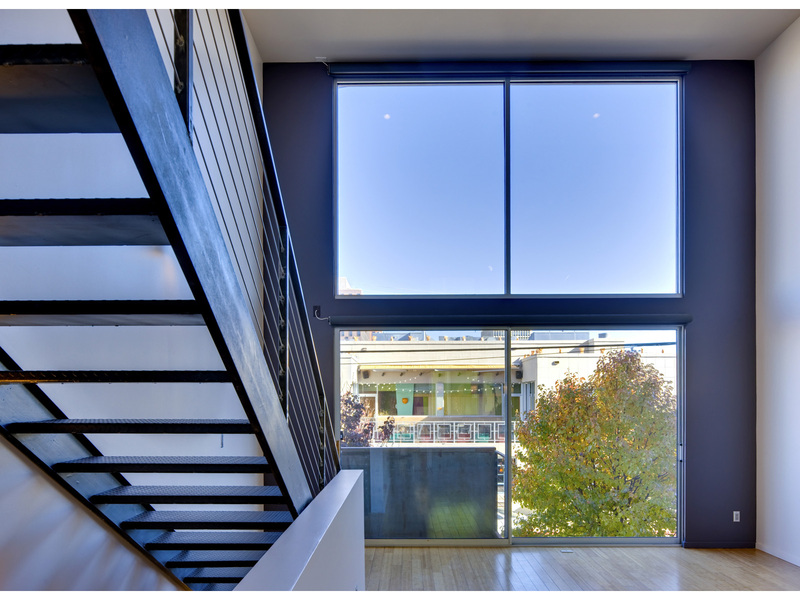 Cantilevered metal balconies off of the main level modulate and lend scale to the building’s elevations. 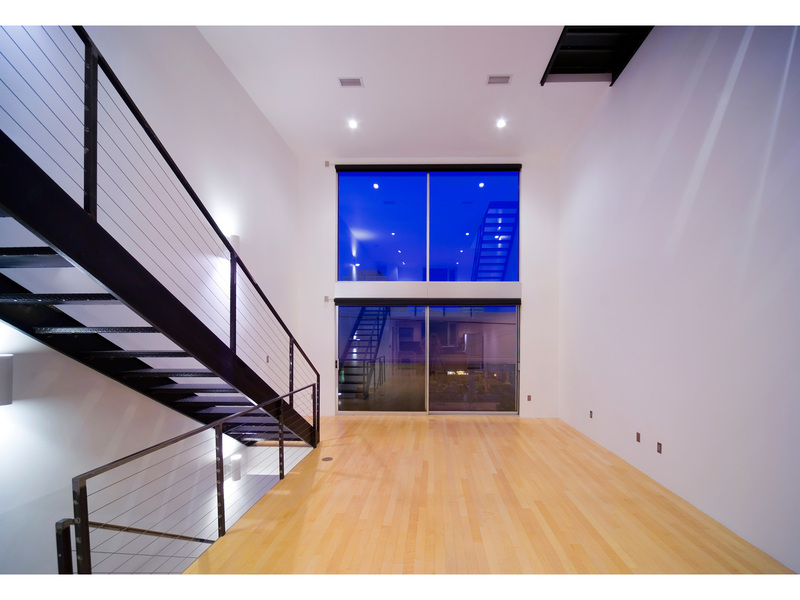 Open tread metal stairs lead to an upper master bedroom level with an outdoor patio deck providing dramatic views of the city, mountains and mesa. 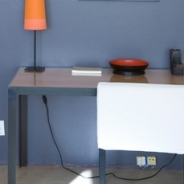 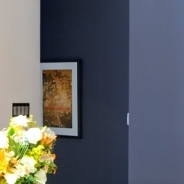 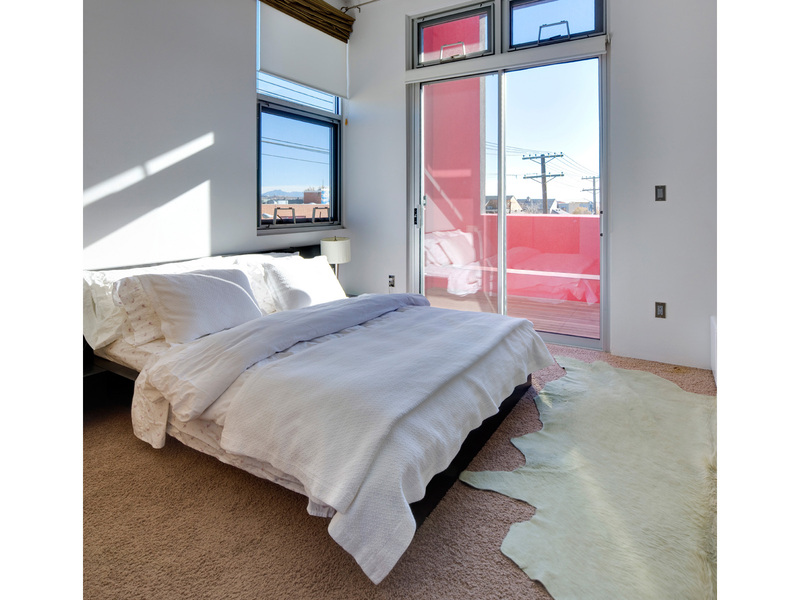 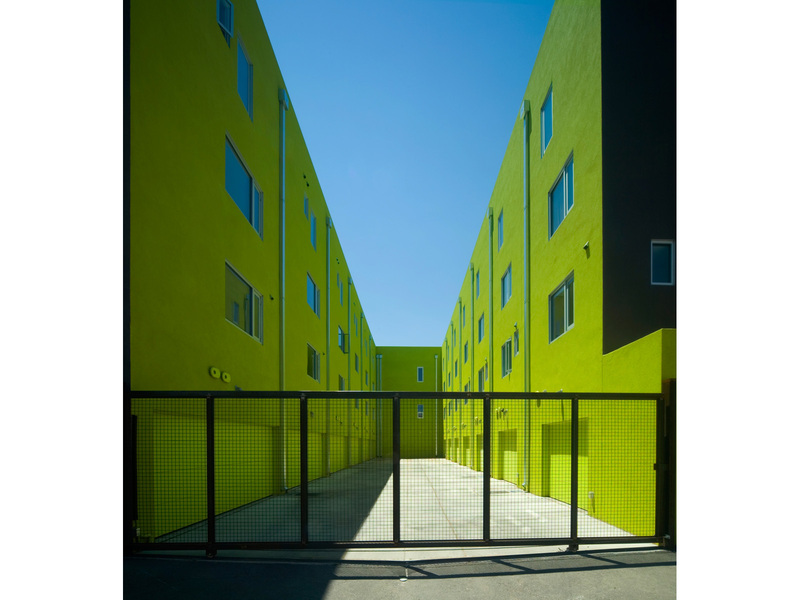 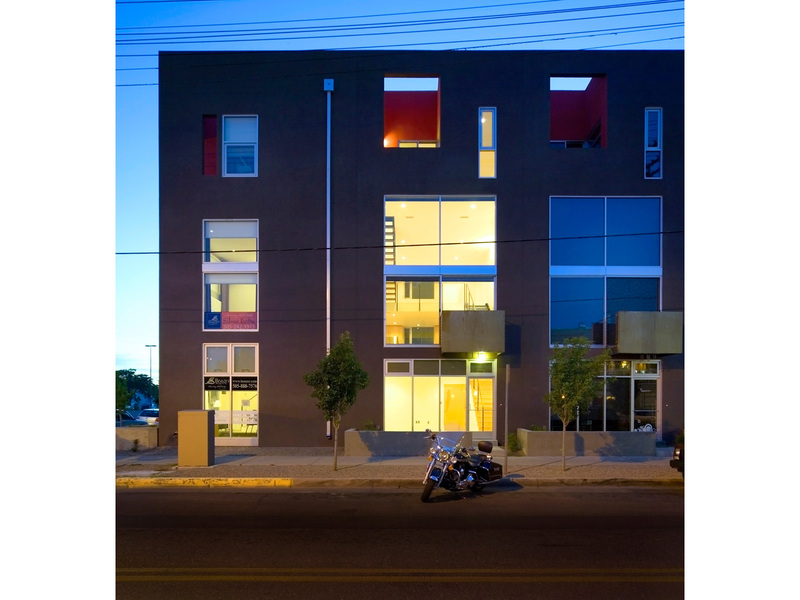 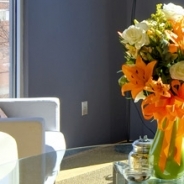 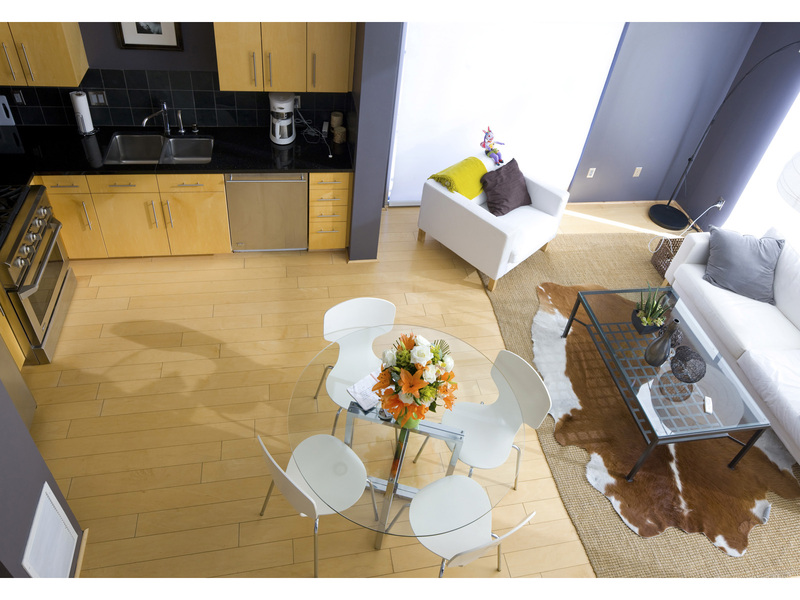 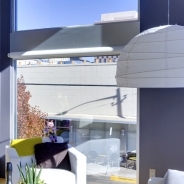 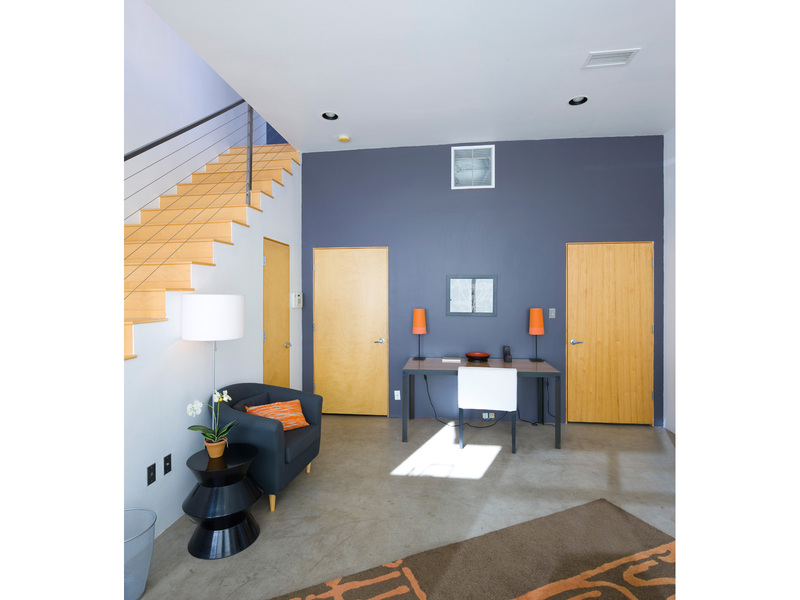 The Silver Lofts are located in the heart of Albuquerque’s vibrantly developing West End neighborhood. 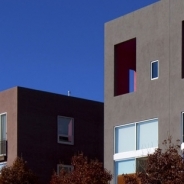 The West End is an established, pedestrian-scaled residential neighborhood with mature trees and rich New Mexican architecture wonderfully situated between downtown and Albuquerque’s historic Old Town Plaza and museum district with its fine shopping and Albuquerque’s three major museums—the Fine Arts Museum, Natural History Museum and Children’s Museum. 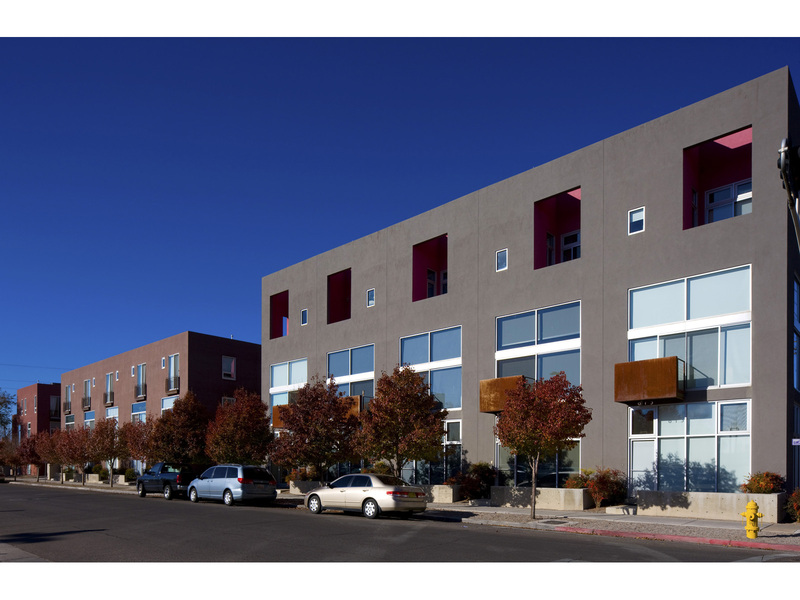 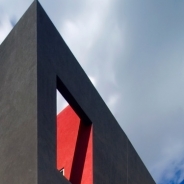 The Silver Lofts are just a two-block walk from the center of downtown Albuquerque’s business and entertainment district which includes the Kimo Theater, El Rey Theater, Magnifico Artspace, Kiva Auditorium and Convention Center and the Century 14-screen cinemas. 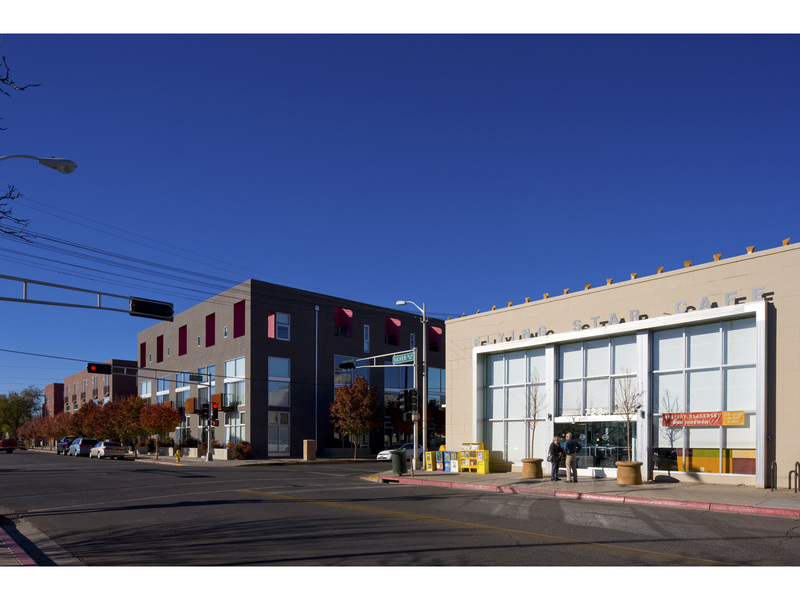 Robinson Park is just one block to the north of the Silver Lofts and hosts Albuquerque’s weekly downtown farmer’s market spring through fall, while the Albuquerque Zoo and recreation fields are four short blocks to the south. 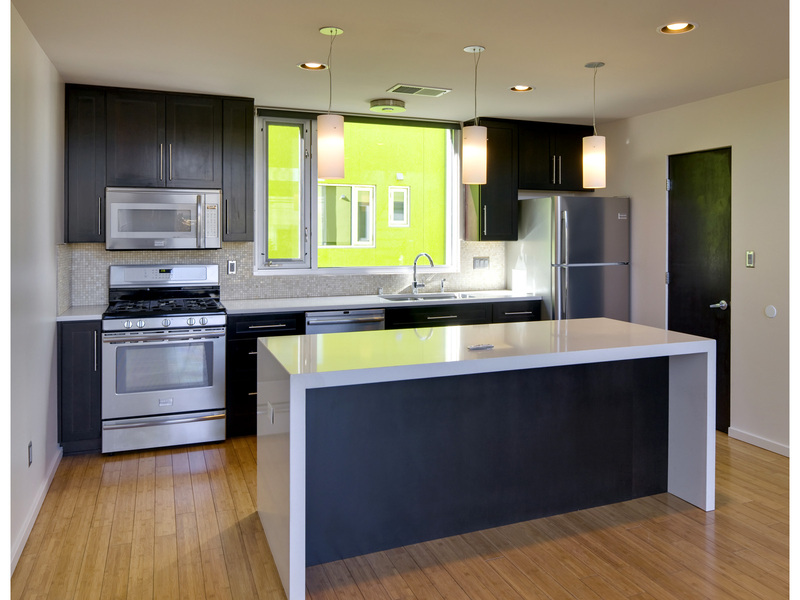 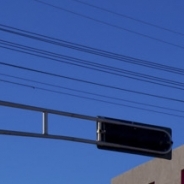 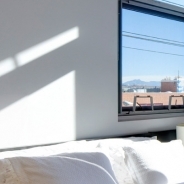 Truly at the center of the city, the Silver Lofts are just minutes away from the University of New Mexico and Albuquerque’s airport, interstate freeway connections and the Bio-Park and nature trails along the Rio Grande River.